In 2012, the market turned with a vengeance and grew very hot very quickly. Now in 2013 it has grown even hotter. Recent deal-making stories almost make the seemingly crazy, multiple-offer tales of last year appear sedate. The supply of listings is drastically low against buyer demand, and the pace of price appreciation looks to be accelerating. Some city neighborhoods appear to be surpassing the previous peak values reached in 2007-2008. 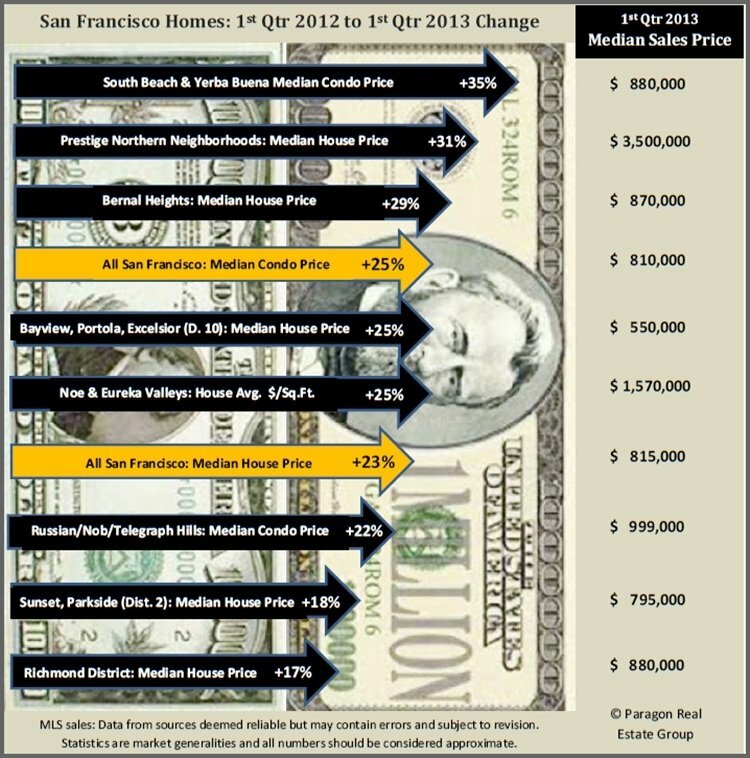 As seen below, the first quarter’s numbers reveal big increases in home values year over year. And the month of March alone saw a particularly big jump of almost 9% above February’s median price. March sales prices reflect the heat of the market 4-8 weeks earlier, when the offers were actually negotiated. Much of the first quarter’s sales data reflects offers negotiated in late 2012. 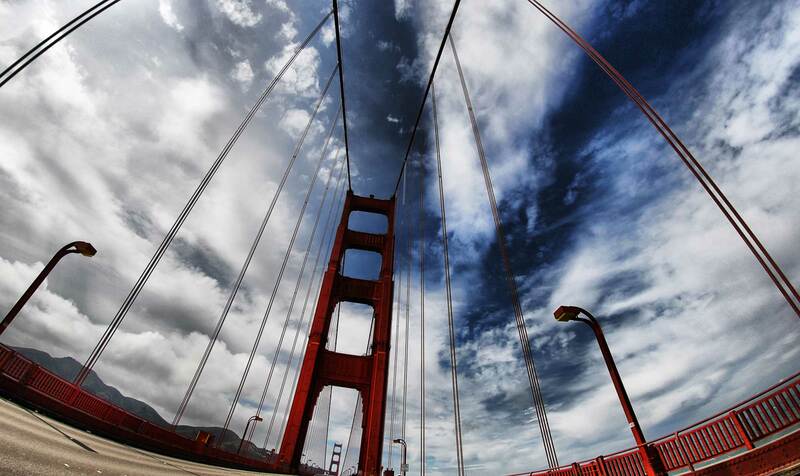 In a rapidly changing market, we’re always looking in the rearview mirror. How Does Supply & Demand Affect Prices? 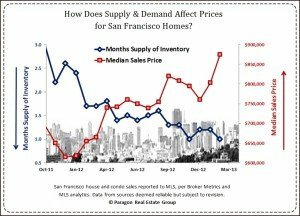 The past 18 months give a text book example of how the supply and demand dynamic affects home values. Months supply of inventory (MSI) measures the strength of buyer demand against the available inventory of homes to purchase: the lower the MSI, the hotter the market. The hotter the market, the greater the upward pressure on prices. 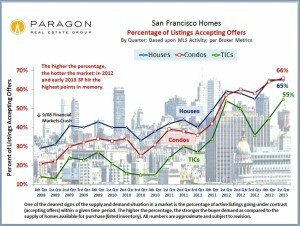 As the market has strengthened, the percentage of SF homes selling for over — and sometimes far over — list price, has soared to almost unbelievable levels. 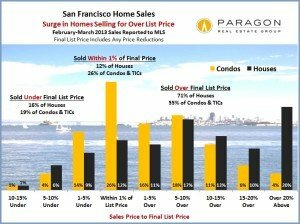 In the last 2 months, 30% of SF house sales have sold for 15% or more above asking price. This is another excellent indicator of demand vs. supply, and it is now at the highest levels in memory for virtually all property types.